I realized I hadn’t done a thrifting update in a while, so I thought I’d share this super simple upgrade. All we did (OK, all Dan did) was spray paint this tray. With all my crafting talents, spray painting is not one of them. Oh well. I don’t have a before picture, but it was pure black when I bought it. 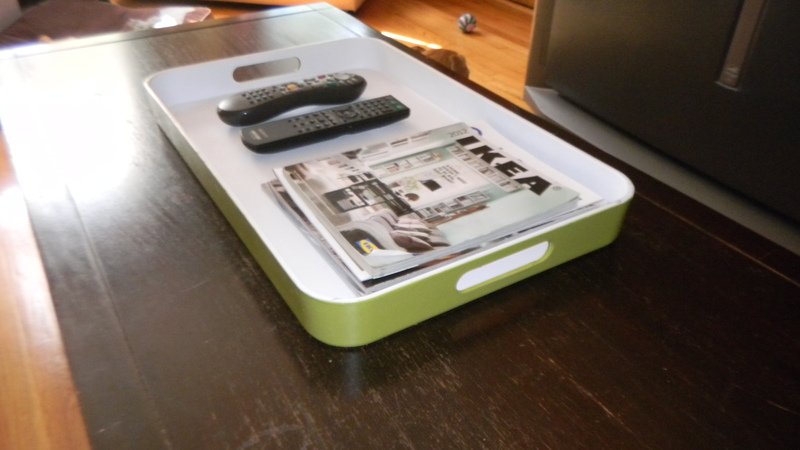 I think it was $1.75 for a Crate and Barrel tray (the tag was still on it). 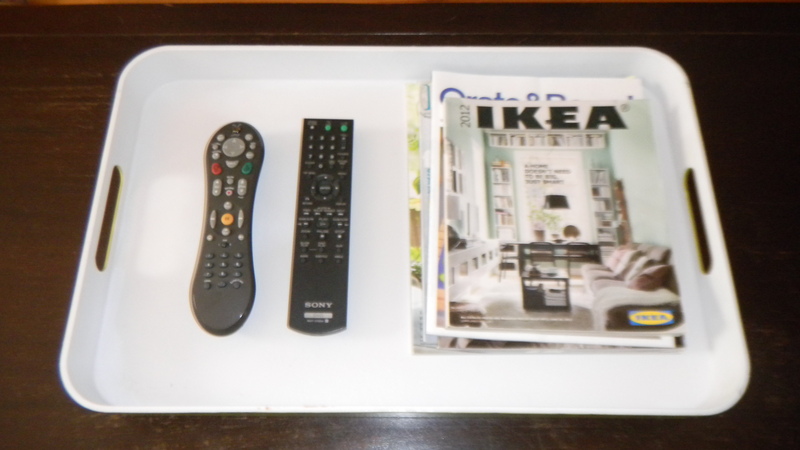 The black was fine, but I thought doing a two-tone tray to hold magazines and the remotes on the coffee would be nice. 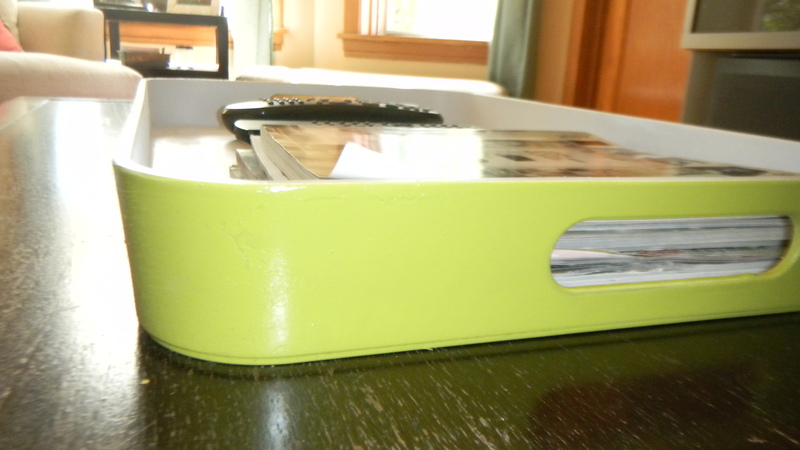 A few coats of ivy green on the outside and matte white on the inside was all it took. Oh yeah, and a clear protective coat all over to help prevent scratches too. We keep it in the living room, but we’ll still use it to carry food and drinks outside for parties or grilling.